Welcome to the world of Nettleden.com, a website dedicated to the UK's most fascinating and unique underground secrets, an unknown world beneath our feet. 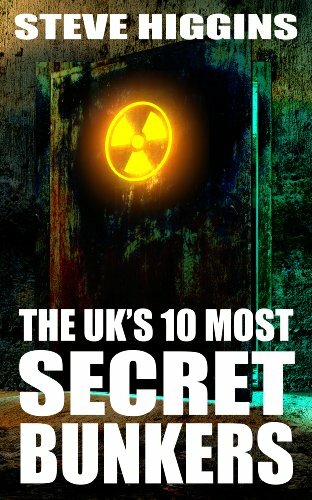 In The UK's 10 Most Secret Bunkers, our first publication, we will uncover some of Britain's best kept secrets. From World War II ammunitions stores, to Cold War bunkers and emergency underground broadcast studios ready to be put in to action by the BBC in times of crisis. We let you in on the secrets of the modern day uses and status of the sites which once officially didn't exist. Some of these tunnels and hideouts have barley been seen, only by those with the correct security clearance to pass through their thick blast proof doors. We've picked just ten of the extraordinary secret underground places which we feature on our website, the ten which were at one time the UK's most closely guarded secrets. These ten secure locations are now mostly obsolete, their details finally leaked to the public. With so many secrets right beneath us, does this mean there are more classified bunkers keeping the nation safe which we don't yet know about? Probably ...we're sure the story will continue to unravel but for now here are ten of the most important and secretive places in the country's history.